PHOTOGUIDE.JP is a Web site dedicated to showing what Japan is like with photos, videos, articles, and blog entries by me, Philbert Ono. By accessing PHOTOGUIDE.JP’s top page, you can easily navigate to or search for what interests you. There are images for all of the 47 prefectures which I have visited. The home page menus list some of the photo albums/sets/categories you can find here. My video clips are all on YouTube and usually embedded in my online picture gallery. Japan Photos is my online collection of tens of thousands of photos of all of Japan’s 47 prefectures. The images are organized by prefecture/city/town/village. Some images are also organized according to theme. Most images are available for licensing (contact us). Japan Articles is where I write full-length articles about Japan-related subjects. Japan Blog (which you are reading now) is filled with my commentaries about Japan. 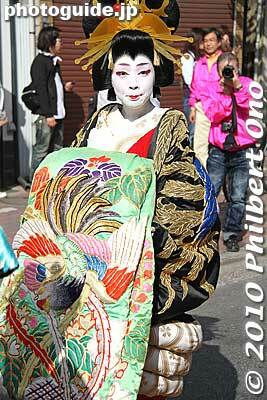 Japan Videos (YouTube) (username: photojpn) centers on Japanese festivals or matsuri. I like to capture the motions and sounds which still photos cannot capture or convey. If you like to see travel photos of Japan, you can also follow my public posts at https://www.facebook.com/philbertono and Twitter (@philbertono). Some resources on this site are also shared with my sister site called PhotoGuide Japan (photojpn.org) which introduces Japanese photography. My favorite subjects to shoot are traditional Japanese things like festivals (matsuri), castles, temples (especially National Treasures), women in kimono, sumo, cherry blossoms, etc. But I also shoot many other things in Japan. Although I have visited all 47 prefectures, there are still many places I plan to visit and introduce on this site. Just about every month, I visit a place or see something I’ve never visited or seen before in Japan. I specialize in Tokyo (where I live) and the Kyoto area where my ancestors are from. My photos are organized in coherent photo sets (albums) which give you a good idea of what a place or festival looks like. I’m a prolific shooter and can easily shoot several hundred pictures a day. I select the best ones and put them in a logical sequence for you to view online. One photo set (for a festival, etc.) may have up to 250 images. You will never see this many pictures in any travel guide book on Japan. My main motivation behind all of this is that, I want to rediscover Japan for myself and to promote tourism in Japan at the same time. I want more people from overseas to visit and understand Japan. (As well as residents to discover more about the country they live in.) To show that Japan is much more than just Tokyo, Kyoto, and Mt. Fuji. Visiting Japan, even as a tourist, is the first step toward understanding the country better. Based in Tokyo, I’m an American citizen of Japanese ancestry born and raised in Hawaii, USA. I now live and work in Tokyo, Japan. I am fluent in Japanese–reading, writing, and speaking. You can read more about me here. Q1: Any advice on how to take nice pictures? I really don’t have any advice because the definition of a “nice picture” can be different to different people. Everyone has different preferences, objectives, and tastes. Other than the technical aspects, there are really no rules or formula for taking a nice picture. A blurry or grainy photo considered to be bad to one person might look artistic to another. 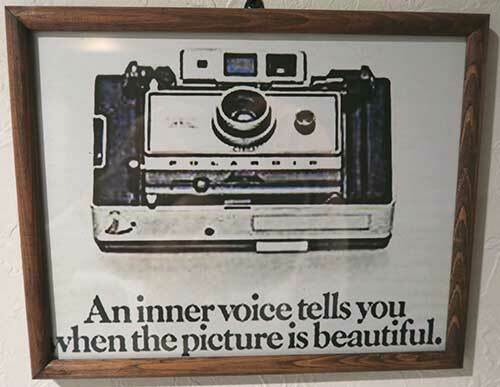 If the photo looks good to you, then that’s really all that matters. It doesn’t really matter what other people think unless you’re entering a photo contest. As long as you like the picture, then it’s a nice picture. If you’re a beginner, take many photos of your favorite subject or theme. Then go home and pick out your favorite shots. Sooner or later, you will understand or recognize what makes a picture look nice or what types of shots you like. Studying common rules and theories about composition might help, but it really depends on your objectives and preferences. The thing about photography is that, not every photo you take will be a masterpiece. Out of 200 shots, you may find only a few that you really like. So the trick is to shoot a lot, then you can yield a higher number of great shots. That’s the great thing about digital. You can afford to take a lot of photos and just delete the bad shots. Also think of ways to increase your chances of taking nice pictures. In my case, I like to shoot on sunny days because it brings out vivid colors, so I try to shoot on sunny days when possible. If it’s a festival, I check the exact route, location, time, and what the highlights will be. Such detailed information is usually only in Japanese. My shooting location is also important. I may need to go early to secure a prime spot for shooting. In Shiga though, this is rarely necessary. Festivals are not terribly crowded except for major fireworks events. When I’m shooting, my greatest enemy (besides foul weather) is another photographer. Photography is such a popular hobby that there will always be photographers who get in my way or spoil my clear shot. Once upon a time, amateur photographers in Japan were mostly old, retired men. Now we also often see little old women carrying one or two big D-SLR cameras at festivals. They can get quite aggressive and ill-mannered at times. And of course, most everyone has a smartphone or iPad to take pictures with while holding it above their heads. Most of the photos I put online are presented in a series, usually in an online album (photo set). They are arranged in a logical sequence to tell a story or to document a place or event. This sequence is often chronological, especially for festivals. Photography has been a pivotal part of my websites ever since I went online. I love photography because it’s so universal like music, sports, and art. Everybody loves photos. The Internet was made for photographers and writers. And it’s so easy and accessible. For public consumption, I’m inclined to take pictures that serve a practical purpose. My travel photos help people understand a place or event and make travel decisions. I also believe in captioning my photos to promote better understanding of the subject or scene depicted. Many photographers think that the picture speaks for itself and don’t need captions. I disagree. A caption enhances the picture’s impact and the viewer’s understanding. Q2: How do you organize and store your photos? When you take as many photos as I do, having an easy and efficient way to organize, store, and find photos and videos becomes absolutely essential. My images are basically organized by date. First of all, the image file names contain the date with the year, month, and day (YYYYMMDD) it was taken. Then there’s a hyphen or underbar followed by a sequential number. For example, “20181011-1234.jpg”. I may also include keywords in the file name. For each event (festival, etc. ), I create a separate folder for the images I shoot. The folder is also named with the date and a descriptive title. For example, “20181011-SportsDay”. These folders are then stored in a folder organized by month, named like “201810-PHOTOS” for photos taken in Oct. 2018. These month folders are then stored in a folder for the year named like “2018PHOTOS”. When I need to find a particular image, I search for the date or key words with my computer’s search function. The Japanese date format (YYYYMMDD) is much more efficient than any other date format. I don’t use photo organizer applications like Apple’s Photos app (for amateurs and the worst there is), Adobe Lightroom, etc. They lock you into their system and make it difficult or impossible to switch to another system. Such applications can also be discontinued at the maker’s whim (like iPhotos and Aperture). After organizing my photos as above, I use Adobe Bridge for browsing through the photos and rating them or renaming them. My images are stored locally on external hard drives. All my files are stored redundantly in different locations in Japan. So even if a disaster destroys my home, I still have the files stored elsewhere. I don’t use cloud services to store images because I have too many images to store and it takes too long to upload/download. I also don’t trust cloud services. Q3: What are your ideas or concepts behind your videos? Video has come a very long way since I first started shooting video for shiga-ken.com. Video technologies, video quality, and video infrastructure (YouTube, editing software, etc.) have evolved and developed dramatically since the early 2000s. And it’s still ongoing with 4K and maybe 8K. So naturally, my videos have evolved accordingly in both content and quality. In the beginning, videos had to be short, no longer than 5 or 10 min. But YouTube gradually extended this limit until I could actually have videos longer than 2 hours on YouTube. Unlike still photos, video can record movement and sound. And so my videos center on subjects that move and make sounds. I don’t shoot videos of temples and shrines because they don’t really move nor make any sound. That’s why most of my videos show festivals, the perfect subject for videos and one of my favorite subjects. My festival videos try to make you feel like you’re there watching it. I shoot mostly from the same angle of view as the crowd watching the festival. Sometimes you may see local cable TV stations broadcasting a festival. They use their press pass to shoot at angles that give clear but artificial views of the festival. It doesn’t make you feel like you’re there. Since 2013, sometimes I shoot videos with local residents (including kids) reporting in English on camera. I want the locals to introduce their hometown or festival instead of having a professional reporter or foreign visitor. They learn English in the process and English learners can see and hear the practical uses of English. I want to avoid making “foreigner discovers Japan” type of videos. I want viewers see the faces of Japan and learn about Japan. You may notice that I don’t ever appear in my videos, photos, and websites. It’s because I prefer not to distract you from the subject at hand. I want all eyes on what I’m trying to show you. I’m not really into promoting myself either, but you will see my name everywhere due to copyright reasons and because credit must be given where it’s due. Credit or thanks is also given to other contributors and people who helped me out. Any private or personal information you give us through email or other means will be kept private unless we are requested by law enforcement authorities for such information. If you appear in any of the images we display on our Websites (photojpn.org, photoguide.jp, shiga-ken.com) and do not want your face to be recognizable or included in the image in question, we will honor any requests to delete the image or blur your face. Google’s use of the DoubleClick cookie enables it and its partners to serve ads to our users based on your visit to our sites and/or other sites on the Internet. The cookies of other third-party vendors or ad networks may also be used to serve ads on our sites.